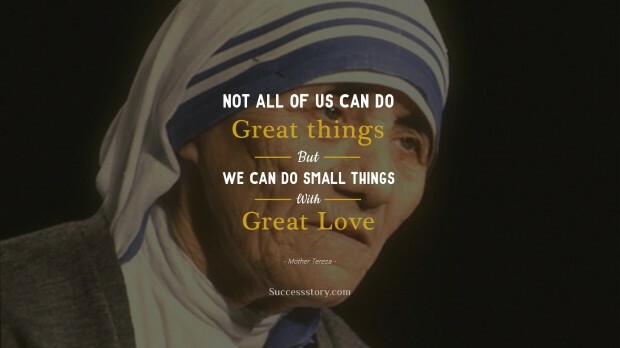 Words fall short to describe who Mother Teresa really was,but going by her work and life, that wasone of a kind, she was best known as a Catholic Religious Sisterand Missionary. A woman of celestial personality and being, she was born in Macedonia. Having lived there and in Ireland for some years before moving to India, Mother Teresa decided to dedicate her entire life to servicing the poor and needy there. 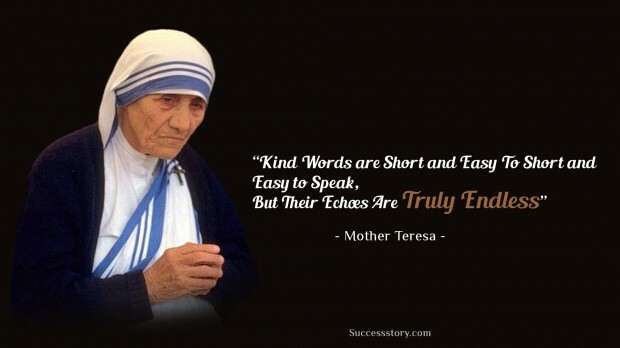 "Kind words can be short and easy to speak, but their echoes are truly endless"
"Not all of us can do great things. 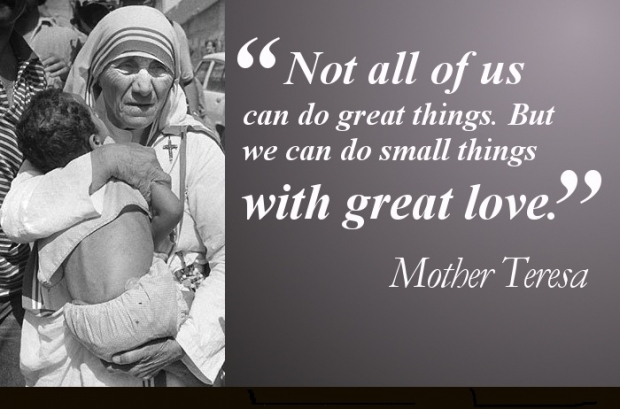 But we can do small things with great love"